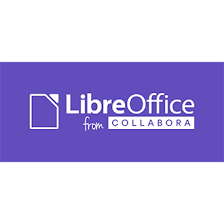 The announcement that was made jointly a week ago by Collabora and IceWarp as well as the one on the same topic shared by the Document Foundation is deeply important, both for the LibreOffice project and digital freedom in general. The short story goes like this: Key developers of the LibreOffice project found funding by a groupware vendor (IceWarp) to develop the cloud version of LibreOffice. This is something that several people inside the Document Foundation, including yours truly, have been actively looking for since the early days of the LibreOffice project. I am really happy about these news. LibreOffice will integrate cloud storage in its desktop and cloud versions (this is already more or less the case, but it will improve as time goes by. LibreOffice OnLine is not a new concept. It was thought about more or less since the inception of the LibreOffice project; and what it will be like is something that is rather well defined judging by the early works on it. In a nutshell, I believe that what will make this project truly unique is that the “cloud version” is actually not that distinct from the desktop version, at least in its final stable form (not the first previews and betas that will be released). Expect the same interface, and more importantly, the same features (at least 95%) available in the desktop version, the ones you know today. This is indeed unique, because it means that the “cloud version” will really be the most complete cloud office version from the onset. Of course, all this comes at the price of unprecedented complexity and it means that not everything will work downright since the first stable version; but I’m confident that sometime in 2016, we will have a very complete cloud version of LibreOffice available for anyone to download and use. It is not unlikely that the Document Foundation will operate or provide LibreOffice Online as a public service. The Document Foundation is the expression of the community of its projects’ contributors and as such works like a special kind of software vendor. But what it is not, and won’t be for a long time is a SaaS provider or a cloud services operator. This is also good news: Everybody will be able to run LibreOffice on its servers, increase the safety of its data and innovate in a healthy competitive ecosystem. At least this time,the big winner will be software freedom and true innovators. 17 Responses to "LibreOffice – the Cloud edition"
I understand that SO started off as mimicing the basic features of Microsoft Office, but as both softwares have evolved to present day, MS Office has added OneNote and other things, while Libreoffice has added other features. What I’m wondering though is whether it makes sense to continue on with Base, in that there have been few commits to it in the last couple point releases. Even in modern offices, BI software is replacing the need for Access/Base. It seems to me like replacing the Base function with a OneNote type function, or Thunderbird integration would be more sucessful for LO in business adoption. ^^^Just a thought. Completely unsolicited, but your post made me think about how Base will be a resource hog for any cloud server that installs it. On the SaaS – personally I think if TDF isn’t going to offer LO as a SaaS, then they should at least have preferred partners on their website that commit to contributing a certain amount of revenue from LO to TDF. I’m aware it’s in the bylaws but too much Collabora/Red Hat de facto control could be negative for the software. I can’t really see how atm, but that doesn’t mean one shouldn’t be adverse to monopolies. TDF needs to be a strong independent institution. Revenue wouldn’t hurt, and it can still be a non-profit as long as the revenues are reinvested in the product. So what is happening here, is that you are taking a working, well known, documented, and highly popular office suite, tearing it apart, making it more complex and totaly dependant on an internet connection… Is this an April Fools joke? pretty nice to read 🙂 niice ! by the way, it’s possible for make an plugin for OwnCloud ? Sure! I wonder if one does not exist already. If not , then it would be highly welcome. Not at all. We are not tearing LibreOffice apart. We are developing its cloud counterpart as cloud apps are becoming quite demanded. You made several good points. I think it’s important to realize that operating/providing such a service in the cloud is a business in itself. I would not be surprised to see new players entering the game. Have Collabora bought or received ownership or the LibreOffice project? If not (I haven’t heard of any announcements) the the “LO from Collabroa” seems like a peculiar use (if not outright trademark abuse) of the LO name and logo that seem intended to create confusion. Tend to agree with DoctorDoctorNurse. Anders, Collabora does not own the LibreOffice project. However they certainly did ask the Document Foundation (the trademark owner) for authorization and permission to use the name; note however that their brand says exactly what it says: it is LibreOffice from Collabora; and as such it is not so much a special software, but rather a set of services and support contracts for professional LibreOffice users. Well, the way we work entails independent developers doing it; if it does not exist and that someone is interested I’m sure it will happen! Charles: I am quite surprised, that TDF considered and authorized this and doubt it is in TDF’s best interest. I disagree that it is common practice. I don’t think it comes across as “C is yet another provider of LO services”, but as “LO is a sub-brand of C” (as in “DoubleTree by Hilton”, “Xively by LogMeIn”, “Linksys by Cisco”). But thanks for the information. It is not common practice in the sense that few FOSS projects are equipped with a legal entity that is able to deal properly with these matters but when there is it is common. FWIW have you checked our TM and logo policies? I think this is a wonderful step forward. Like many users, I’ve switched to a Chromebook. And while Google Docs does 85% of what I need to do, there after still those times when I need more than just the “basics”…… like a serious data base module and more capable word processing features. I just can’t remember that I’ve seem something similar. > FWIW have you checked our TM and logo policies? I hadn’t, but you said in your first reply, that permission was given, so I assume it is legal whatever the policy might say. I just commented, that I don’t think it is in TDF’s interest, as I think it creates confusion and diminish other contributors, but obviously TDF disagrees.